There appears to be a growing trend for player to use blades with Balsa layers. So what’s so special about Balsa wood? 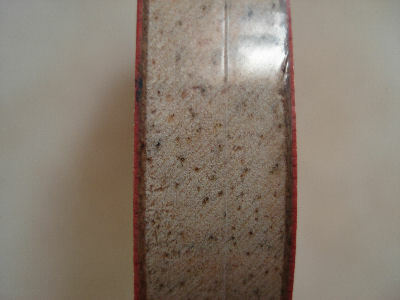 Balsa has some very unique properties that make them suitable for both defensive and offensive styles blades, which are described below. Balsa is a very light and low density type of wood. It is very soft, so soft that you can easily dent it with your fingernail and leave a permanent dent. Since it is not very strong by itself, it’s usually sandwiched between some stronger and harder plies or composite layers which gives the blade strength. 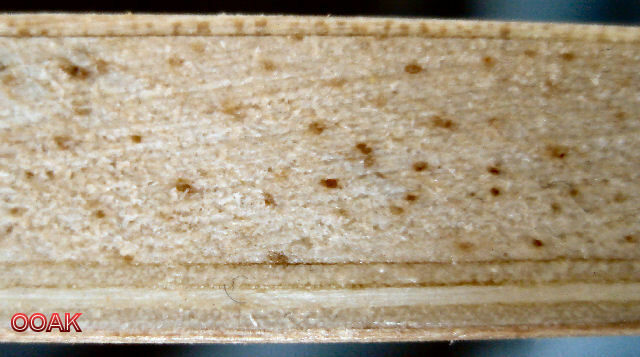 There are more than 50 types of balsa woods, all exhibiting subtle but significant variations in characteristics. 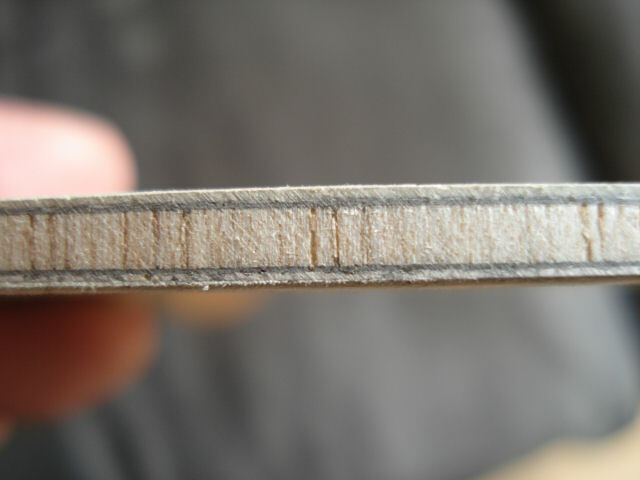 It’s very low weight is one important reasons for the popularity of balsa blades. There are balsa blades that weigh less than 50g, and combining these with a pair of light rubbers, makes it possible to make complete bats with weights in the low 100g, or possibly even below 100g if an OX long pimple rubber is used on one side! Some players with physical disabilities or constraints may prefer such a bat, and others that use a lot of wrist movement in their strokes will find it’s much easier and quicker with a low weight bat. However there are more unique characteristics that need to be considered. Since balsa is usually used for the inner or centre ply of a blade, the feel of the blade is obviously effected by the outer plies as well. In general balsa gives the blade a very soft feel, which makes it feel slow with low catapult, and it offers great control and touch, particularly on low impact strokes, such as return of serves or pushes. This properties also makes it particularly attractive for some defensive styles or player that like to vary the pace, as the touch for drop shots or short balls is often critical to their game. 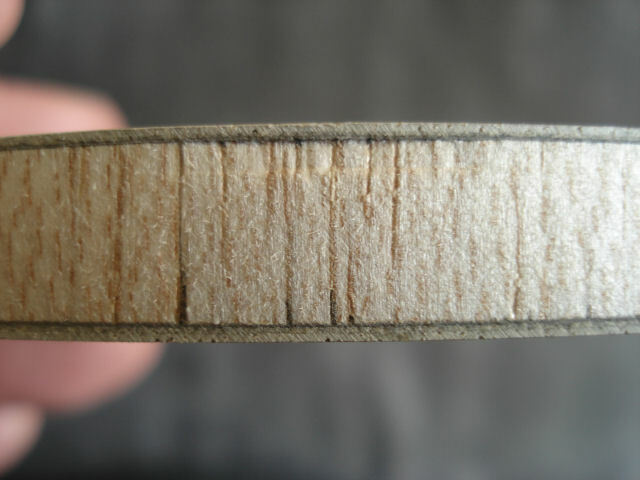 The property of the Balsa layer changes dramatically depending on how hard the ball hits the blade, it is not linear like most other types of wood. The higher the impact, the quicker the rebound of the balsa. In contrast to the low impact property, where slow balls are held by the balsa giving it long dwell time, on high impact the balls is rebounded very quickly giving it very short dwell time. Although this can be seen as a disadvantage, since low dwell time generally means less control and less ability to generate spin, the major advantage is for blocking and counter hitting, where low dwell time means much reduced sensitivity to spin, and the ball comes back much quicker to your opponent. Other wood-types will impart speed to a ball in a more or less one to one ratio to the force used (or the speed coming in), but not balsa. 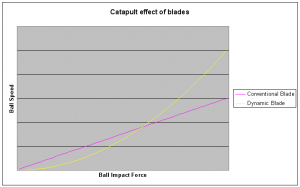 If force or impact is below a certain level, balsa’s catapult will be lower than the catapult of most other woods – much lower if the force or impact is small, less so if greater. 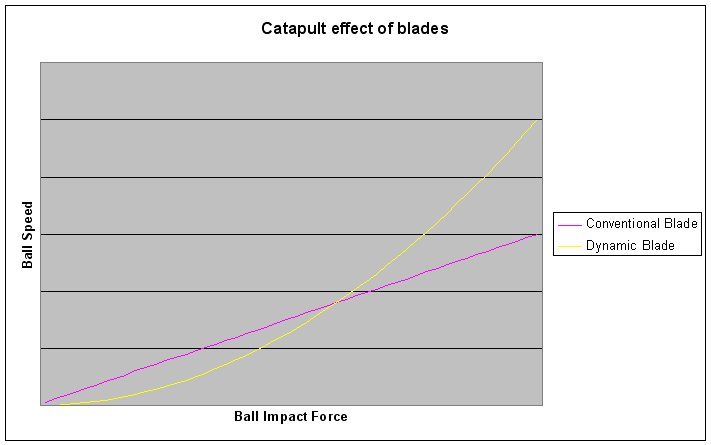 However if the force or impact is above this level, the balsa’s catapult will be more than that of the average wood, initially a bit more, but increasingly more if the force or impact are increasing. So, when play is slow, the balsa is extremely slow, but when play is speeding up, the balsa will speed up even more, which is illustrated above. The throw of a bat refers to the angle at which the ball comes off when you loop or block the ball. The exact angle is not important, but it’s a useful concept to know if your bat is high or low throw, as each one can benefit certain styles and strokes. High throw means the ball comes off at an higher angle, meaning that the ball will go higher over the net and will go longer compared to a low throw bat. As far as balsa is concerned, the change in catapult effect in the balsa wood also means that the throw of a balsa blade changes with the speed. At low speed or in defensive blades, the balsa generally contribute to a higher throw, but when things speed up or the balsa layer is thicker, the catapult increases and dwell time decreases cause the throw to be lower. 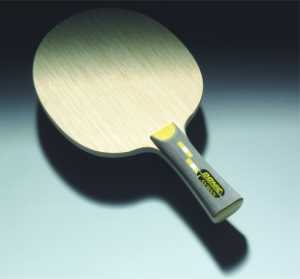 The properties described above makes balsa blades so suitable for a blocking and counterhitting style game (particularly with pimples). When you block a loop or hit softly (loose grip or it’s a low impact shot), the balsa has a low catapult and thus a braking effect, allowing you to take the pace off the ball very effectively. However when blocking solidly or against fast loops or hits, the low dwell time and low throw, means the bat will be much less affected by spin, and produce a low and fast ball, making it much harder for the opponent to attack. This is one the main reasons that long pimple players like balsa blade, as the properties are almost ideal for a blocking style play, but it’s certainly not the only style that can take advantage of these unique property! We’ve covered some of the advantages of Balsa blades, so what are some of the disadvantages, and what style is it generally not suitable for? 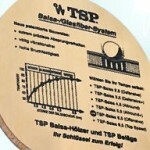 Generally for a modern looping style game, especially away from the table, the balsa properties are not ideal. These styles require good dwell time and some flex in the blade, which gives them more spin at high impact which helps land the ball on the table. Also the power of the balsa seems to diminish a little away from the table, so except for defensive styles, balsa is usually not the best choice away from the table, but suits a close to the table style most. I though I’d just mention a few special blades from a variety of manufacturers that might be of interest below. These TSP Balsa blade are different from other balsa blades because the balsa wood layer is cut horizontally, so that the rings of the balsa wood are in the same plane as the blade face. This unique and patented feature, coupled with the elastic fibre-glass layers gives the blade a softer and springier feel. Well these custom-made German blades are really in a league of their own, which not only use balsa in the majority of blades, but they’ve also developed some unique technologies to further enhance the blades for specific styles. The details are well beyond the scope of this article, but you can read more about the technology and range on the Re-Impact Blade Technology website. TSP Balsa Plus (or Fitter) 8.5, Joola MC1, JUIC Air series of blades, Giant Dragon Superbalsa II are all very thick balsa blade and even though most are below 80g, they are very fast, among the fastest blades on the market. Many of the Dr Neubauer balsa blades (eg Firewall Plus) and most of the Re-Impact blades (eg Tachi) are specifically designed to work well with long pimple rubbers, particularly in OX (no sponge). With these blades the low catapult helps take the pace off the ball, the outer hard layer improves spin reversal, and the low throw aids in blocking against fast loops. Most manufactures have at least one balsa blade in their range, because there’s always demand for light weight blade, even if the other features are fairly all-round. A few examples are Donic Cayman, TSP Versal and I’m sure you can find one for most brands. Nice article. Also, very interesting. The graph explains the phenomenon. It seems that when you block a good loop gently (soft touch) the ball is sent back low, and short. But if you hit, the speed of the ball is faster then one would expect, thus behaving like an offensive bat to some extent. Perfect for long pimple, antispin rubbers. Hence some of the experts recommend Balsa rackets for this purpose. I have a Dr Neubauer thick firewall plus blade and I have Tenergy 05 on one side and xiom 2.0 on the other. this is a lot of fun racket. it can block real nice against spinny loops and put the ball back fast to the opponent. For slow stuff I got to be ready to lift up on theballs or they go into the net. This bat does not like slow stuff.But I am practicing kill shots for the slow stuff and that might work for some added fun. I can tell you this. I am only a 1300 player and People at my club make fun of the thick racket, but at the end of the nite when I am beating up on 1500,1600 ranked players there laughing stops and its me doing the laughing. Its a fun fast racket. 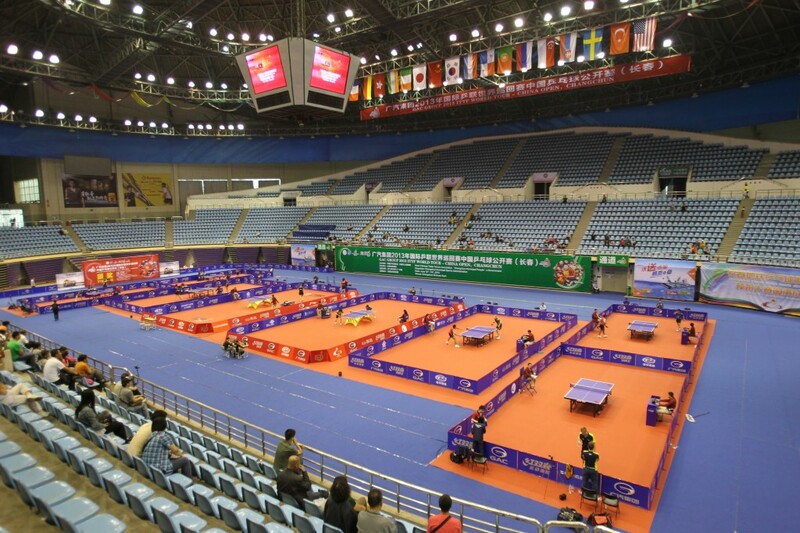 I just stumbled on your great article about the unique properties of Balsa and how it reacts in table tennis blades. I agree with virtually everything you state here but, would like to note a couple nuances. A cubic ft of Balsa can weigh as little as 4 lbs. all the way up to 26 lbs per cubic foot. For comparison purposes Basswood is 26 lbs cu ft, Ayous is 24 lb cu ft and Kiri is 18 lb cu ft. My point being that a 5mm Balsa core made from 4 lb cu ft Balsa will play much differently than one made from a 26lb cu ft Balsa. The 26 lb Balsa core blade will respond linearly. The dampening effect assoicated with Balsa comes from the average density Balsa (around 12-14 lb cu ft) or lower. With such a wide variation of density, Balsa can be utilized to produce any speed blade from the most defensive to the most offensive. Of course this assumes that the blade maker understands the wood properties, procures it properly and verifies the material upon receipt. 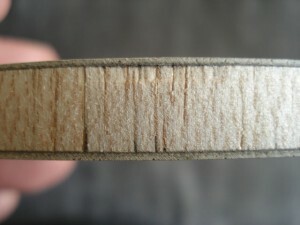 Coupling it with other woods, composites and adhesives appropriately for the desired performance is key. But without knowing the density of the Balsa the performance of a given blade will be inconsistent from one batch to the next. I just put Donic F-1 on both sides of my Firewall plus blade. Its smokin. Being an older player with less energy than these young guys i dont have to do alot to bang that ball back .